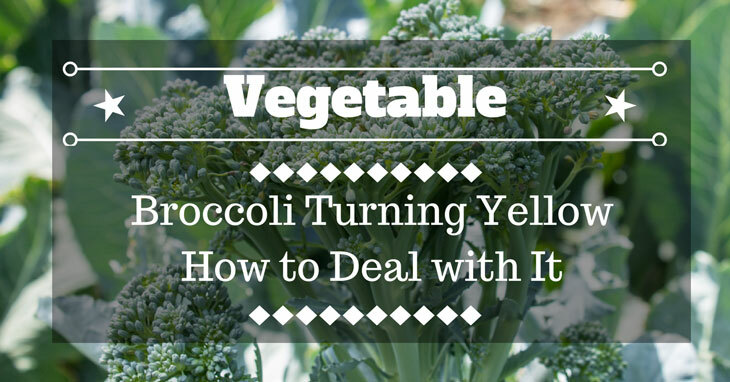 →Broccoli Turning Yellow: How to Deal with It. Broccoli is notorious for being pushed off the plate, at least by some kids who don’t know its nutritional value. Medical News Today published an article with a list of health benefits of broccoli. This vegetable can help you fight cancer and will keep your bones and skin healthy. But more than that, for gardeners, broccoli is one of those plants that is easy to cultivate. However, if you are growing this vegetable, there is one common problem you should know on how to deal with. That is, broccoli turning yellow. In this article, we will discuss the two types of yellowing in broccoli. That is yellowing in the leaves and yellowing in the head. But first, we need to briefly review the basic needs of broccoli to grow. How to deal with yellowing due to maturity? How to deal with yellowing due to nitrogen deficiency? How to deal with yellowing due to fungal disease? How to deal with yellowing due to pests? Yellow broccoli head, is it safe to eat? Broccoli belongs to the cabbage family. It is a cool-weather crop that also needs full sunlight. Broccoli also prefers soil that is sandy, moist, slightly acidic and nitrogen rich. Broccoli needs 1 to 1.5 inches of water every week. If the daytime temperature also exceeds 75 degrees Fahrenheit, you’ll need to add mulch to keep the soil cool and moist. The head of broccoli is made up of tiny florets that if left unharvested mature into a multitude of yellow flowers. As the head becomes older, the buds will also become more and more yellow in color. Broccoli heads that have turned yellow typically taste bitter and they also lose their nutritional value. Harvesting your broccoli before they reach maturity is key to avoiding this kind of yellowing. Remove the head when it already ceases to expand and while the buds are still green and plump. Broccoli requires a high amount of soil nitrogen. If it isn’t getting adequate nitrogen, the leaves will also turn yellow. Yellowing can be first seen on bottom leaves and then it will continue upward to the head. In extreme cases of nitrogen deficiency, the entire plant will turn yellow. You could use a fertilizer that is low in phosphorous but high in nitrogen. But if you opt for natural fertilizer, you could instead add organic compost. Bloodmeal is also a good option. You can prevent nitrogen deficiency if you fertilize during planting, when the heads start to emerge and when the first heads are harvested. Fungus Fusarium oxysporum also causes yellowing in broccoli. This ground-dwelling fungus normally enters the plant through wounded or new roots. It will work up its way to the stem, causing the yellowing of leaves and their subsequent falling off. The affected stems will also become stunted on one side and eventually the plant will die. Unfortunately, there is no solution for yellowing due to Fusarium. 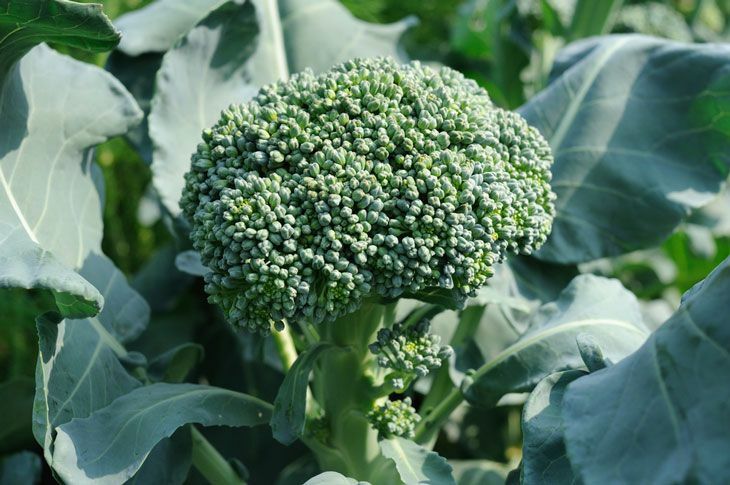 Possible pests that attach broccoli include mites, cabbage loopers, aphids, maggots, cutworms and flea beetles. Pest attacks may also cause yellowing on broccoli plants. One way to deal with pests naturally is by companion planting. You could plant aromatic herbs such as sage, mint and deal near broccoli and they help repel insects. Also check your broccoli regularly for worms and other insects that attack its leaves. You could simply pick these insects up and remove the affected leaves. 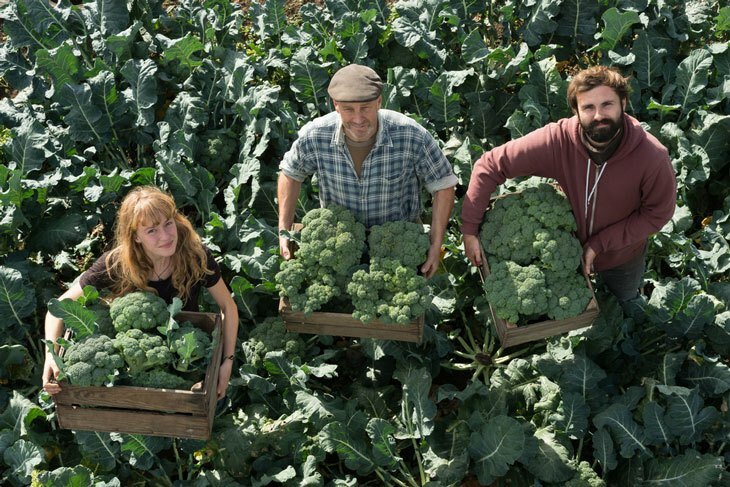 Given that you have successfully harvested a perfect broccoli head, or you have purchased the perfect green head at the supermarket, there is still a chance it will turn yellow. Or what if you have bought a perfect green broccoli in the supermarket. Then after a few days of storage, you will notice the head turning yellow. Is it still safe to eat? According to foodanswers.org, if your broccoli starts to turn yellow, it is still safe to eat. However, it could taste bitter and there is also a good chance that it will give you gas. One of the first signs that the broccoli has gone bad and is no longer ideal for consumption is when it starts to smell. About the same time, you would also notice that it will change its color from bright green to yellow and from being crisp it will become limp. To extend the shelf life of broccoli and prevent immediate yellowing, you could store an entire head in a plastic bag and then place it in the vegetable drawer of your fridge. With this method of storing, your broccoli could last around two weeks. For longer storage, you may also blanch the broccoli head, store them in a plastic container and then keep them in the freezer. Frozen broccoli could last up to 8 months. Moreover, broccoli is a versatile vegetable. There are numerous easy recipes that you can prepare with broccoli and Allrecipes listed some of them. Preparing broccoli at the soonest time after buying them can help you avoid dealing with yellowing of the head. Yellowing of broccoli is normal, whether during planting or storage. During planting, it is important to identify the true cause of yellowing so that you can implement the correct solution. After harvest, yellowing could only be due to storage problems. Improper storage could result to faster yellowing. But freezing could help prevent yellowing. Did you find this article helpful? If you do, don’t forget to share it with your friends. Also, please feel free to share your ideas or comments in the box below.